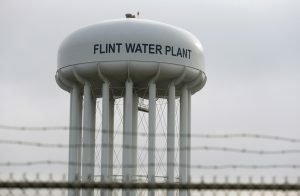 FLINT, Mich. (AP) — A judge on Monday ordered Michigan’s state health director to stand trial on involuntary manslaughter charges in the deaths of two men linked to an outbreak of Legionnaires’ disease in the Flint area. Nick Lyon is accused of failing to issue a timely alert to the public about the outbreak. Judge David Goggins said deaths likely could have been prevented if the outbreak had been publicly known.